Bob Warren began his music career soon after graduation from Dartmouth College in 1936. Among his songs were “Someone to Love,” and “Number Ten Lullaby Lane.” As a music arranger, he worked on the Colgate Comedy Hour in the 1950’s and was an arranger for the orchestra leaders Al Goodman and Raymond Paige. “Someone To Love” was recorded on October 19, 1962 and released in 1963 on the album I Wanna Be Around. It was arranged by Marty Manning. 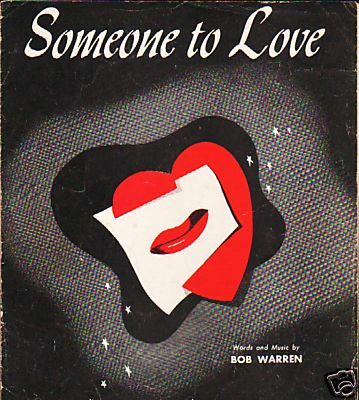 “Someone To Love” was recorded on October 12, 1962 and released in 2006 on the CD re-release of I Wanna Be Around. It was arranged by Marty Manning.